Lake Tahoe - North Vacation Rental #9383 LakeHouseVacations.com Rent Me! Serenity, you’ll feel it here in this comfortable townhome with room to sleep five in Carnelian Bay, a perfect vacation setting that’s close to everything in magnificent North Tahoe. In the beautiful living room, relax in front of the stone fireplace and watch a movie on the flat panel TV. Catch up on email or book your next stay with us on the free Wi-Fi. Breathe easy as the wind whispers through the pines while you relax and sip your favorite beverage on the covered balcony. There’s a barbeque available for year-round use. Take in the forest views while you grill burgers then finish up meal prep in the well-equipped, updated, open concept kitchen with granite countertops. The dishwasher makes clean up a breeze. You’ll find plenty of seating to enjoy your meals at the breakfast bar or nearby dining table. Feel free to pack light for your adventures, Serenity inlcudes a washer and dryer. The main floor bedroom boasts a queen-size bed and window seat. The adjacent full bath has a tub/shower combo. The loft has two twin beds with plush comforters and a handy powder room. Both bathrooms feature granite countertops and brushed nickel fixtures. This ad has been viewed 1181 times. Nice place. Kitchen a good size for cooking. " Property was just fine but the kitchen sink faucet was very loose as were the kitchen cabinet hinges. Just an FYI to the owners..."
"Great cabin, close to everything. The cabin/condo was awesome. Close to everything and yet cozy"
When we arrived there was a pile of sheets and towels on the bed. The bed was made with mismatched bedding. The comforter was dirty. Bathroom was clean and nice. Towels were very thin and rough to the touch. Carpet and furniture in the living room area were dirty. Went home a day early due to uncomfortable surroundings." We had a real enjoyable visit at Carnelian Bay where the rental was very accommodating and the location was perfect, approximately only one block from the lake. The unit was clean and we'll maintained, located in a quiet community. The pool was fabulous, also well maintained with no heavy chlorine scent." We loved the quiet condo and would stay again or recommend. The rental company was responsive and helpful. Condo had updated furniture except for beds and was clean and tidy. " "A GREAT TIME WAS HAD BY ALL!! Everything was wonderful and just as we expected. Only thing is we couldn't get the toaster to work for bagels in the morning!" Apr 17, 2018 - William L.
Such a nice little condo. It was clean, kitchen was updated. Perfect for a few days getaway to Tahoe. Close to stores and restaurants." I booked this condo on very short notice. We needed a place to take our grandchildren to get them out of the poor air quality in Napa, CA while the fires were very active there in mid-October. The management company was very helpful as we booked, then cancelled and booked again within a day because the conditions in Napa, CA kept changing. The kitchen indeed had lots of dishes, silverware, cookware and cooking utensils. The pictures on-line were very representative of the actual accommodations. One recommendation - more towel rods and/or towel rings in the bathrooms. There was not enough space to spread out towels to dry properly. " The condo was very clean, which is always my biggest concern. Everything was there that we needed, and it was centrally located for all our needs. The bed in the master bedroom could use some work. The bed is low to the floor and somewhat uncomfortable. We both slept OK but there is some room for improvement. Otherwise, the stay was great! " Have stayed several times - Great value!" We had a wonderful time here. The only thing I would say is we bought food to BBQ and we're not able to on deck. I wish we were told this befor we arrived. I hate to wast food. " The condo was lovely and very clean. Our teenagers loved the sleeping loft! The amenities were a hit: a beautiful pool, hot tubs, fun game room and the Par Course. Location is perfect, quiet, close to Kings' Beach and the grocery store. Highly recommend!" This was an ample sized 4 bed property. It was very clean. Everything you could want for the week was provided. In L.Tahoe you don't spend much time indoors so the size was fine. Mezzanine level upstairs would've been a problem if we had younger children as they would've been kept awake until we had gone to bed. Fly screen downstairs was damaged so we weren't able to have the balcony doors open in the evening. View from balcony was just of woodland nothing pretty. Very small shower room for everyone to use, just a toilet upstairs. Really odd guy working at reception who was really quite rude when I asked where I check in. He was sitting in the games room with his feet up on a table watching tv so I wasn't sure if he was a guest, I asked about reception being manned. After asking twice he said "I was just waiting for you to ask in the right way" Pool at the rec centre was clean, large and generally empty. Hot tubs were great too. I would consider staying there again, mostly because of the central location of Carnelian bay, and it is a really nice quiet area but I'd check the view from the property and may be get one closer to the pool area." The property was good. A bit small but nice. It would be best for just a couple to stay or a very small family. Overall we enjoyed our stay. Thank you." House was very clean and comfortable, like a true home. The living room was a bit cramped with a sofa and table, but since we didn't have more than 4 guests it was manageable. The only downside is that it was advertised as 2 Bedroom, with 2 twins and 1 Queen. It is actually 1 Bedroom with a Full bed, and a loft with 2 singles. The Full bed is too small for 2 adults, so that was a bit tough." Unit was as expected based on photos online. IT could have accommodated up to 6, but we decided on just US, for some R & R! We chose Carnelian Woods because we owned a unit there for 22 years and like the location and the mountainy feel of these units. This unit was updated and nicely (warmly) decorated. I especially liked the feel of the loft, though we didn't use it at all. It would be fun to come there again with another couple. We liked having breakfast at the Post Office, walking distance, as we had done many times before. The biggest negative was all the paperwork, contract signing, faxing required. It seemed to make the process harder than it needed to be. I have rented online before; it was usually seamless." We had a wonderful stay in this cozy and well supplied home. Close to Kings Beach and Tahoe City. HBO and STARZ were nice to have at night. Large pool. Very good value. " We had a wonderful stay in this cozy, well furnished and fully stocked townhouse. The host, Trent, was helpful and accessible. The description was accurate, the location beautiful and the amenities perfect! We enjoyed the volleyball court, pool and jacuzzi as well as the nature hike right from our backyard. The surrounding community is filled with fun things to do. We saw an outdoor performance that overlooked the lake, rented kayaks and shopped in great little stores!" Aug 14, 2016 - Tina M.
"Great location, beautiful and peaceful! My family and I had a great time, this place is fantastic. This place is fully equipped to feel right at home, just pack your bags. The amenities were awesome, perfect way to relax and finish the day. We will be back and I will recommend this place to our friends! " "Great central location in Tahoe! This rental was very clean and had a great kitchen. The loft area with two beds is ideal for a couple with young kids. If you have older kids, the sound from the living room may interfere with late sleepers. The rental is ideally situated between Kings Beach and Tahoe City." This condo was a great place to stay in Tahoe and we would definitely stay here again. The location was close to everything yet peaceful and away from the summer crowds. The rental was clean and management was very responsive." This unit was just right for our family of 3. Enough space to stay apart and be together as we wanted. Place is updated and attractive, and very clean. I would rent this space again, and for a longer time than the 2 nights we scheduled. Perfect price and location. Great value for our money. Would definetly rent again!" Mar 29, 2016 - Charlie W.
Nicely maintained townhouse. Very convenient to the ski sites. Property Management is very professional before, during and after the stay. " Good, but never I had internet"
Place was clean with a great kitchen for cooking with plenty of room, tools, and plates. The only knock was the cable tv that would not work. Great pool and spa area and loved the location. Way better than a hotel. " Lovely cozy, modern duplex in a very peaceful setting surrounded by woods. Soft thick pile carpet, modern kitchen , comfortable beds, log fire... Nice pool facilities and games room. Short distance from the lake and some dining options. " We have been renting this unit for at least last couple years or so, typically in spring/summer and winter. We have enjoyed the unit, which is still reasonably OK but it clearly shows signs of neglect. Cleanliness of carpets is far from desired. Kitchen is equipped but barely for family cooking, we typically bring our own cooking utensils etc. Bunch of minor but noticeable things like heating vent cover by the entrance, which has not been fixed perhaps at least a year etc. Balcony looks like it has been cleaned long time ago. Overall, still perhaps okay but clearly could use some TLC besides just the-end-of-stay cleaning." The property is very comfortable and clean. It is very well equipped. Not have any cleaning element. The heating is very noisy. The hot water was not enough for 4 people. It is located near the lake but away from the malls. A few miles there is a supermarket. We have had good attention by property managers." We had an outstanding time at Carnelian Woods over Labor Day. The unit is in the perfect location- walking distance to the Lake, good restaurants and Mini Golf. The unit itself is immaculate and the perfect size for 4." We had two minor appliance issues. Impressed with the same day response from the property manager. One call was even on a Sunday. We will Definetly use this property management for our future rentals. " We enjoyed our stay at this condo. My family and I especially enjoyed the community pool/spa and other amenities. The condo itself had been remodeled and we felt right at hone here. My only complaint would be that the queen bedding seemed not fresh and older. But, having the large lift space and sofa bed too worked for the family. It was a nice time for us." Vacation rental is good alternative to hotels stay for family vacations provided you're ok if some amenities and conveniences are missing, prepare to be surprised mostly for better and sometimes for worse." The impeccably clean well appointed condo was comfortable and welcoming. Bedding was recent and linens of good quality & plentiful. Overall I would recommend and/or stay here again. However there were a few quirks. First, with no grate in the fireplace, it is nearly impossible to light a fire, rendering the fireplace merely decorative. Second, while the hot tubs were GREAT (warm, clean) no pool available in winter :-( The location of the property is PERFECT if you are planning on skiing northern Lake Tahoe Resorts. Its about 20 minutes from either Diamond Peak, Northstar, Alpine Meadows & Squaw"
advice on paddle boat rent/ sandy beach. If i come back to Tahoe, I will definetely come to that same place. Happy customer." Second time we have stayed at Carnelian Woods and everything was perfect. Will be back next year!" GREAT, comfortable place w/ everything we needed, parking spaces were plowed so we got in & out easily despite the big dump of snow, also enjoyed the rec center sauna, jacuzzi, wi-fi and reading by the great fireplace. Only 2 complaints which moved my rating from 5 down to 4 stars: 1. The heating was noisy and kept me up at night - also the vents blow directly over the kitchen counter where we sat to eat; 2. there was only enough hot water for 2 showers, which was a problem since we were a party of 5 (one less than the max of 6 allowed). Probably no way to fix that, but just knowing is helpful so you can plan very short showers, staggered schedules and showering at the rec center." ONLY ONE TV IN LIVING ROOM... I WOULD RECCOMEND FOR THEM TO INSTALL ONE MORE TV IN THE BEDROOM. ALSO THE BEDROOM NEEDS MORE LIGHTS. .OVERALL EVERY TIME I GO TO TAHOE, I WILL STAY HERE!!" "Carnelian Bay Condo. We were very satisfied with the unit we selected, the place was very well done from the front door to the great forest view from the deck. A quiet place away from the hustle and noise of other North Lake Tahoe areas. The condo had very comfortable furniture, a remodeled kitchen with granite, new appliances, and all you need for meal prep. We liked the quiet location for exploring the Tahoe area. Check in and out was very smooth, like coming home. We will be back!" "Fireplace was not working well, not drawing, smoky. It's pretty nice to have a working fireplace on a ski weekend. The property stank of smoke and while the property manager was willing to move us we'd already moved in and were tired and didn't want to repack and move out; also while the kitchen had been upgraded and was gorgeous the living room was so stuffed with furniture 4 people couldn't move around in it and there was only seating on couch for 3. Between the couch, the barstools , the throw pillows have to move off couch to sit, table and chairs, and coffee table there was no floor space at all. Linens in the bedroom were old, worn and mismatched - not what you'd expect when paying for a delux accomodation. Remodel in kitchen and downstairs bath were nice. Living room furniture in good shape. Bedroom and loft furniture worn." We would say the only thing to comment on is the lack of cleaning products to use. As we were asked to ensure the condo was clean when departing, it would be good to have a supply of additional sponges, gloves and a multi purpose cleaner. Also the toaster did not work efficiently and the selection of knives were all blunt and unsafe for use. We hope this is constructive feedback and thank you very much once again. Very happy with the property although the number of burned out lightbulbs in the unit was irritating. No spare bulbs!" We would like to make it an annual retreat!" We thoroughly enjoyed our stay. It was a perfect family vacation. Not only were walking distance from the beautiful Lake Tahoe, but the community clubhouse offered hours of fun (pool table, video games, air hockey table, ping pong table, childrens slide, swimming pool, etc.) The only negative comment that I could give, is the clubhouse closes at 9PM, too early for vacationers. That disappointment hardly made a dent in our delight in having found this great gem of a vacation spot! We will return. " The condo was awesome. Very clean, set up well and enjoyable. I would most definitely stay there again. Three minor issues should be corrected: 1)the contact number in my printout and in the notebook at the condo was not inservice 2) there was no mention of a parking permit being needed in my instruction packet from the internet nor in the notebook in the condo (we received a note on the windshield and had to go to the clubhouse for the permit) 3. there seems to be a wireless connection but the clubhouse person said it was silly but no one knew the code and you are paying for it! It would have been really nice to be able to get internet service. That would be the only reason I might look elsewhere the next time I am in Lake Tahoe. Again the condo was fabulous except for those minor issues." Jul 31, 2009 - Jo Ann B.
" Three day stay over the 4th of July at ID# CW038, Carnelian Bay, Ca. I would definitely recommend this townhouse to anyone. Everything was "as advertised" and even more. I would absolutely stay here again. " The townhome was great. It was clean and the staff was very helpful with the process. My first time visiting Tahoe was a great experience. The only thing I didn't like is that they didn't have a stereo. " Walkway down to property could have been snow cleared. Allot of dog poop by entrance area." Thank you very much. It was nice staying which we liked very much. Maybe I would consider my vacation there next year. My mother sister and I absolutely loved staying at this property in Tahoe!!!" Great family place for vacation. " Last summer, at the last minute, we attempted to find a reasonably priced condo in a wonderful location in North Lake Tahoe to spend July 4th with our two children. 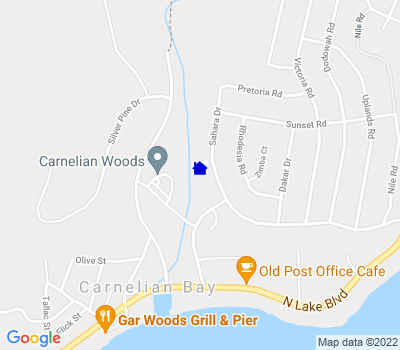 We were happily surprised to find Carnealian Woods Condos, which we had driven past for many years, but never had the pleasure of staying at. The condo we ended up renting was beautifully furnished and had recently been remodeled. The pool and facilities were perfect for our two young children. Even better, was the fact that we could walk to the lake and the restaurant, Garwoods to enjoy fireworks on the lake! We will definately be back!" It was much better than expected. It was my first rent on VRBO and very happy with how it wen. I will absolutely rent again."